The Holly Blue (Celastrina argiolus) is small blue butterfly that may be seen from early spring, often in and around habitat where established Ivy (Hedra helix) and Holly (Ilex aquifolium) are growing in a sunny sheltered position. 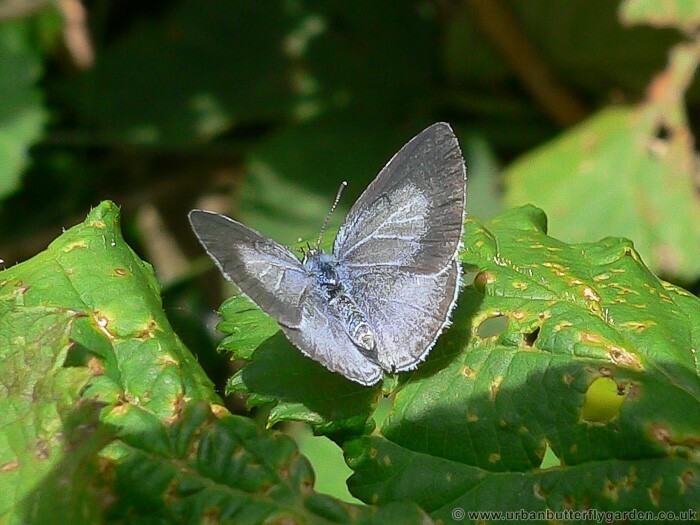 The Holly blue may be found in this type of habitat in hedgerows, woodland, urban gardens and parks across Southern England, Wales and Southern Ireland. 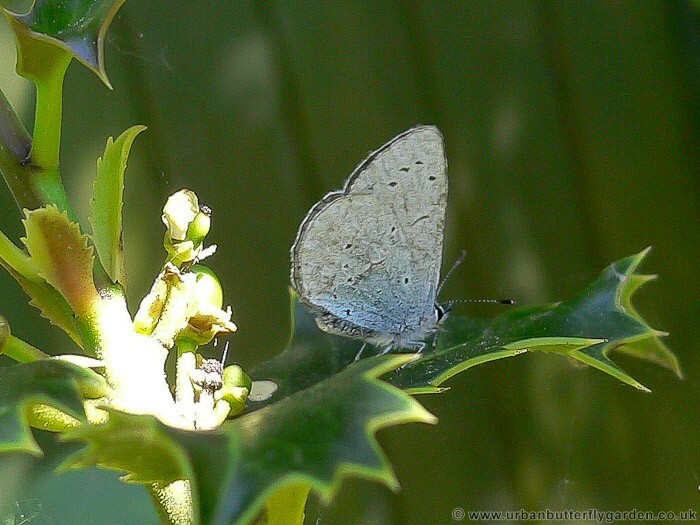 Holly Blue butterflies lay two broods of eggs the first in Holly (Ilex aquifolium) April – May, and the second brood on Common Ivy (Hedera helix) August – September. Upper wings are violet blue and are only occasionally seen, while the butterfly is nectaring or resting, although after periods of cloud cover or rain, they may be seen sunbathing for brief periods, with wings open taking full advantage first available warm sun light.